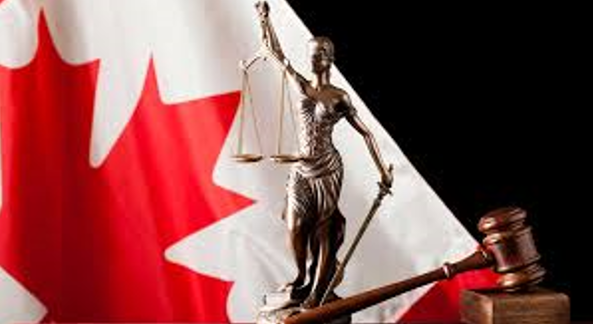 The Government of Canada (Department of Justice) has developed The Aboriginal Justice Strategy. The Strategy supports Indigenous community-based justice programs that offer alternatives to mainstream justice processes in appropriate circumstances. It is intended to contribute to a decrease in the rates of victimization, crime and incarceration among Indigenous people; assist Indigenous people in assuming greater responsibility for the administration of justice in their communities; provide better and more timely information about community-based justice programs funded by the Strategy, and reflect on and include Aboriginal values within the justice system. The Aboriginal Justice Strategy consists of two funding components under the Indigenous Justice Program. The Community-Based Justice Fund supports community-based justice programs in partnership with Indigenous communities. Programs are cost-shared between provincial and territorial governments and designed to reflect the culture and values of the communities in which they are situated. There are currently 197 community-based programs serving over 750 communities. The Capacity-Building Fund supports capacity-building efforts in Indigenous communities in order to build increased knowledge and skills for the establishment and management of community-based justice programs. For example, the Fund supports training and/or developmental needs of Indigenous communities that do not have community-based justice programs or supplements the ongoing training needs of current community-based justice programs. It also supports the development of new justice programs and supports one-time or annual events and initiatives that build bridges, trust and partnerships between the mainstream justice system and Indigenous communities.